There are those, the nature novices, who would check the weather on an app before thinking to take a peek out the window. Others, the casual observers, may notice that the flowers are blooming a little early this year, possibly even able to identify a few of those flowers. 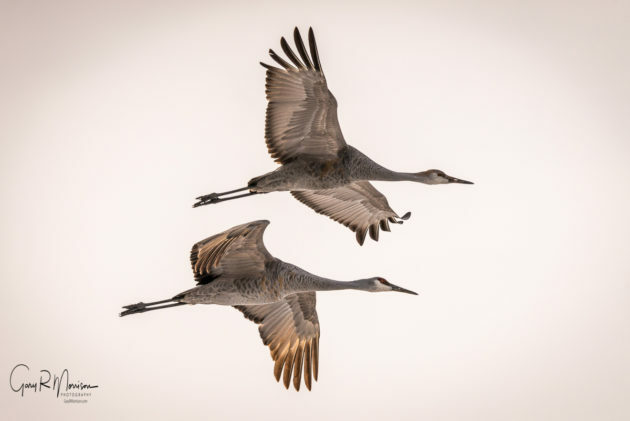 Then there are people, like photographer Gary Morrison, who notice how plants change hue along a green gradient throughout the year, and who find pure joy in the prospect of living near Sandhill cranes. Gary Morrison is a student of nature. Nature photography is not a casual sport, and Gary would be the first to tell you that. He researches for new locations, where “new” truly means uncharted territory—places found only by talking to locals, or those who know the land best. He wakes up at 4:00am to be in just the right spot to capture the perfect lighting. He has photographed for hours walking in one direction following the sun, only to turn around and re-photograph the same area because the light has changed. As for getting criticism and feedback on his photographs, he aims to “find the ones most critical.” After laboring through research, scouting locations, and carefully shooting, Gary will gladly mark up his photos in black pen— guidance to make his photography better. Gary’s impressive work ethic may stem from his decades-long career as a Professor in Instructional Design, studying best practices to enhance learning through well-crafted instruction. His career started with a Doctorate from Indiana University in 1977 and included the publishing of over 100 papers and many years of classroom instruction. Gary stopped photographing during his 30-year career, only to rediscover it again with the purchase of a digital camera. Photography has kept his retirement busier than ever, and his photography “bucket list” pushes him to shoot more places and continually improve. In April there will be an exhibit of Gary’s photos at The Venue, 114 S. Grant St. in Bloomington. 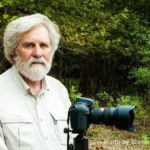 Gary and fellow photographer and author Steven Higgs will host a talk about nature photography at The Venue on April 22 at 6pm. The upcoming Indiana Nature Photography Workshop on May 13th, is a great opportunity for those with a camera and a desire to learn how to use it. Led by Gary and Steven, the workshop will include group demonstrations as well as one-on-one instruction on photography. The subject of the workshop: Sycamore Land Trust’s wildflowers. As Morrison has found, the landscape of southern Indiana is singular. Sycamore Land Trust’s preserves are a testament to the glaciers that pulverized the northern and central parts of the state, but never touched the southern counties. 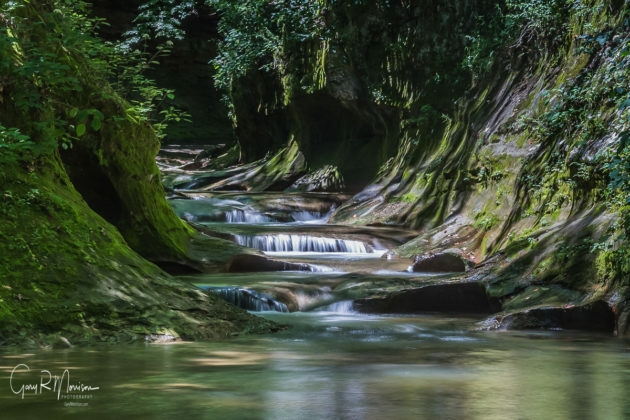 The melted waters of those glaciers carved the limestone bedrock, hills and rivers of Dilcher-Turner Canyon Forest, the Cedars Preserve, Tangeman Woods, and other Sycamore properties. George Sand wrote, “The whole secret of the study of nature lies in learning how to use one’s eyes.” As a photographer, Morrison has trained his eyes to see the geographic clues within his photos, and has dedicated as much of his study of photography to a study of geology. His passions for photography and for this unique landscape have pushed him to pursue a greater understanding of the unique geological and biological heritage in his photos. Photographing the land is an act of preservation by raising awareness of the beauty that exists. In the way Ansel Adams’ photographs of the American West conveyed the landscape’s importance for many Americans, so too can images of southern Indiana move people to deeply respect and care for our environment. Photography brings into focus the remarkable landscape for people across the spectrum, from nature novices to the students of nature, helping all who see his work to better appreciate Hoosier country. 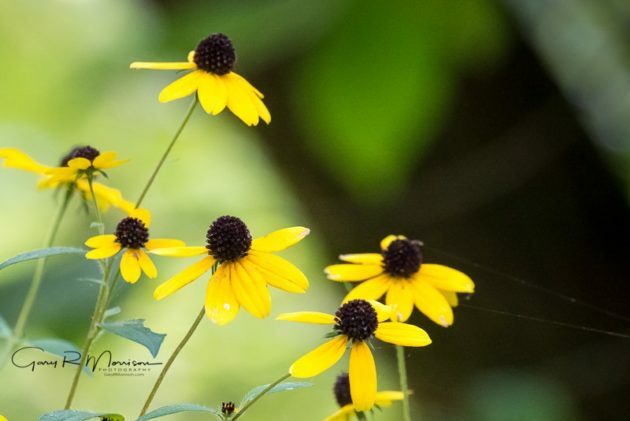 Click here to learn more about Indiana Nature Photography. For more information and registration for the Wildflower Workshop on May 13th, click here. To view Gary Morrison’s online gallery, click here.